The district takes its name from the river Panke and dates back to 1230; the stone church is a remnant of one of the first settlements here. In the 19th century Pankow drew numerous traders and craftsmen, giving the local economy a boost and helping to transform the village into a city. Towards the end of the 1800s, wealthy Berliners started settling here. This large district now forms the north-eastern corner of Greater Berlin; its upper-middle class character is preserved in the dignified surroundings of the Amalienpark. The local Schnhausen Castle is famous for being where Queen Christine, wife of Friedrich the Great, was literally bored to death. After the second world war, the Castle became the office of the East German president. 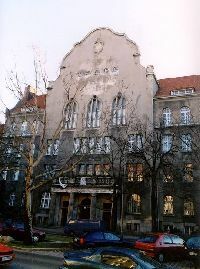 Many embassies to East Germany were located there. The citys major sporting events are held in the Max-Schmeling Hall. The S41/42 ring train and the S8 overground run to the city centre (direction Prenzlauer Berg/Mitte); the U2 underground also passes through the district.